Following initial assessment Chester Speech Therapy will provide an honest opinion as to whether your child will benefit from therapy sessions and an action plan will be agreed. 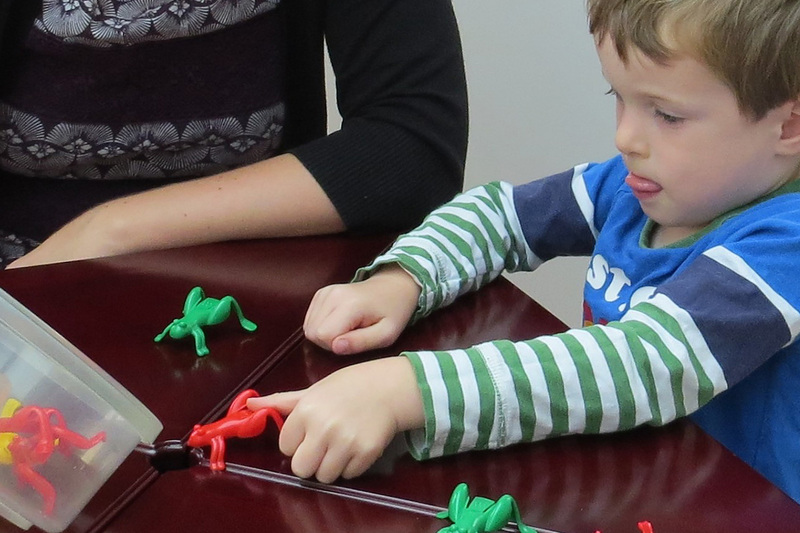 Therapy sessions are play based and can be offered on weekly or fortnightly basis depending on your child’s needs. Therapy sessions last 45 minutes or 1 hour in duration. Towards the end of each session time is spent with parents discussing ideas and activities for home practice between sessions. We ensure that home activities can be easily managed within their daily routine. Sessions can take place at your home or your child’s school / nursery. All therapy programmes are tailored to each individual child’s needs. We have a variety of training packages to offer to teaching staff, Early Years Practitioners and parents. We tailor training packages to meet your requirements. • How to support children with speech, language and communication needs in the classroom. Our 8 year old daughter had been having difficulties with her speech for several years and although not severe it was starting to affect her confidence and impact her at school. Sarah was extremely approachable and quickly built up a good relationship with our daughter, making the weekly speech therapy sessions fun and engaging so that she always looked forward to them. I was amazed at how quickly we started to notice a difference in our daughter’s speech and I am happy to say that even though it has been a month since her final session she is still maintaining the correct sounds and shows no signs of reverting back to her old habits. In the UK has a speech, language and communication need that requires long term support. In every classroom have significant communication difficulties. Two thirds of 7 -14 year olds with serious behaviour problems have language Impairment. In young offender institutions have communication difficulties. COPYRIGHTS © 2017 CHESTER SPEECH THERAPY. ALL RIGHTS RESERVED.